Love the cabinets and pulls. And the chair. Funny you should ask - I'm waiting for an update too. The custom rug is ready, it took a long time because we tweaked the color arrangement, the chair is ready so I'll deliver both at the same time after the holidays. The cube coffee tables will be completed AFTER she sees the rug in place to confirm the custom colors of the tables. Normally, I'd have an actual small sample of the rug to match colors with, but not this company, so we didn't take a chance. are normal. All I'd need is buckling fabrics. Here's the Living Room chair. Novice and CornFlakegrl like this. Love that chair. I did the whole monochromatic grey thing when we repainted this year. Nice to have a little pop of color in there. I think I'm literally dying (to steal a phrase from the teenage girls that always occupy my house) to see this finished. I'm digging the orange. My father has the same colour kitchen cabinets, Moongirl. 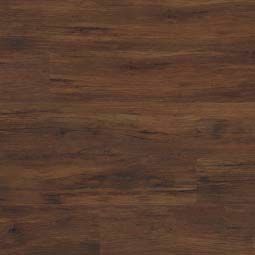 And he just recently re-floored the house and chose a very similar colour as the dark wood you showed here. It looks really nice! In the end, it's your personal taste. I think too much wood in the lighter colour can turn into a "cabin in the woods" situation, which I really don't like. Unless I'd own one. Looking forward to updates on this--I'm doing my kitchen in April. I think if you have wood cabinets and wood flooring, you have to contrasting colors or it looks off. Hey, kids...this was supposed to be an easy project. Minimal, uncluttered but warm, shots of color here and there against a cool colored foundation. The rug came in which looks really great. Like art on the floor. I'll photograph the sofa when the sofa pillows and the two cube tables come in. I couldn't do anything custom colored with the rug sample - which the rug people kept till it was done. Anytime you do anything custom colored, don't rush and make sure you have all your elements together. My belly aching is that her accessories are atrocious and what was to be an urban boudoir, looks like a prison cell. The space throughout is cold, like her personality. I hope to warm up the bedroom with an upholstered headboard and the foyer with an unusual console, over scaled mirror and colored ottomans underneath it. You see that a lot but it's good to be able to pull the ottomans into the living room if needed. We were moving the sofa, that's the mover's Croc shoe. We put the stray block leg on the rug. Throw from West Elm. The coffee tables - to be in burnt orange lacquer over fine linen. This is why I hate taking photos of this apt. It looks like every surface is a different color. Every color looks off. Needs a good photographer and proper lighting. Last edited by Chalet; February 11th, 2019 at 12:40 AM. CornFlakegrl and fgg like this. I love the rug. In fact, I love that burnt orange accent period. fgg and I'mNotBitter like this. Yah I don’t usually like orange in decor (or anywhere really) but I quite like this shade too.